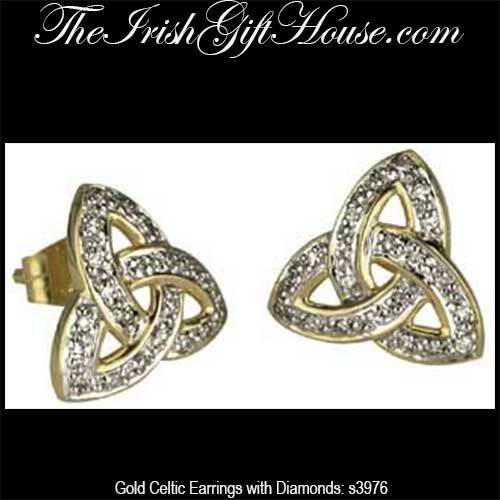 Celtic stud earrings are cast in 14K gold and feature diamond studded Trinity knots. These 14K gold Celtic earrings are Trinity knot studs that features pave set diamonds with a total diamond weight of 0.019ct. The Celtic earrings measure 1/2” wide x 1/2" tall and are made by Solvar Jewelry in Dublin, Ireland.